Join us for a reading group discussion of Roads to Santiago by Cees Nooteboom! Roads to Santiago is an evocative travelogue through the sights, sounds, and smells of a little known Spain-its architecture, art, history, landscapes, villages, and people. And as much as it is the story of his travels, it is an elegant and detailed chronicle of Cees Nooteboom's thirty-five-year love affair with his adopted second country. Cees Nooteboom reads from Rode regen. Cees Nooteboom's book Desviació a Santiago was available from LibraryThing Early Reviewers. Cees Nooteboom is currently considered a "single author." If one or more works are by a distinct, homonymous authors, go ahead and split the author. 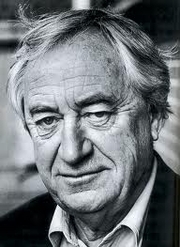 Cees Nooteboom is composed of 10 names. You can examine and separate out names.